Cherne's entry into the power industry required new erection and welding techniques. Main Steam piping spools, such as this one installed on the Craig Station Power Project in 1974, often weighed as much as 70,000 pounds and had wall thicknesses exceeding 5 inches. With contracts in distant states such as Alabama, Ohio and Indiana, Cherne Contracting had established itself by the mid-1960s as a national mechanical contractor with a reputation for quality and on-time performance. But the company's growth was limited by its remote setting in Ironwood, Michigan and in 1965 operations were relocated to Minneapolis, Minnesota. Pleased with the company's success in the power field, Al began to focus even more on this sector. Construction opportunities for coal-fired power projects were numerous during the late 1960s, 1970s, and early 1980s. During this time Cherne had multiple contracts at 38 power generation facilities across 17 states. This work accounted for more than 85 percent of the company's volume during the period 1968 through 1986. 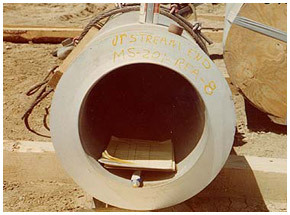 Cherne entered the nuclear field in 1966 with the award of the mechanical piping package on the General Electric SEFOR project in Fayetteville, Arkansas. 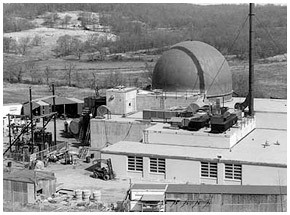 The company entered the nuclear power construction field in 1966 when it was awarded the mechanical work on General Electric's Southwest Experimental Fast Oxide Reactor (SEFOR) in Fayetteville, Arkansas - one of the first projects to be built in the infant nuclear industry. Cherne continued to build on this experience through the 1970s with work at Northern States Power's Prairie Island and Monticello nuclear plants. 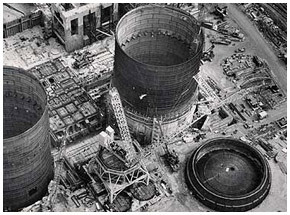 In 1978, Cherne was awarded a $155 million lump sum contract for the mechanical work at the Marble Hill Nuclear Plant in Indiana. Cherne added civil structural construction capability with the purchase of Foley Brothers, a hundred-year old Minnesota civil contractor. Although business was strong, the face of the industry was changing with more clients desiring turnkey construction contracts. 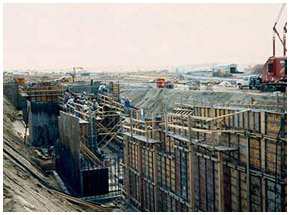 In the early 1980's, Cherne responded to this trend by developing full multi-discipline construction capabilities with the purchase of Foley Brothers, a century-old Minnesota based civil contractor, and the hiring of industry professionals with electrical, insulation and equipment erection expertise. But just as the company was ready to leverage its broadened services to greater challenges, the construction opportunities in the coal-fired power market evaporated. Public Service of Indiana awarded Cherne a $155 million lump sum mechanical contract in 1978 for the Marble Hill Nuclear Plant in New Washington, Indiana. It was at this time that Al Cherne retired from day-to-day responsibilities transitioning leadership to President Gary Ratcliffe and Executive Vice President Bill Cherne. The coal-fired power industry recovered in the early 2000s and Cherne responded. With its expertise, proven methods and history of performing excellent power installations, it was ready to step back into this market. Cherne was successful in securing contracts for several power projects, with clients such as East Kentucky Power, Wisconsin Public Service and others.